We all gathered at Mamaw’s house. As usual, the women folk all sat around the kitchen table visitin’. Somehow we got to talking about food-go figure. Someone pulled out Mamaw’s recipe box. Isn’t it a thing of beauty?! An old popcorn box filled with handwritten recipes. All the recipes are alphabetized and most are in plastic sleeves. Some of the recipes were given to Mamaw 50 years ago from friends. Some are from newspapers. Some are her own concoctions. I love it! Mamaw, Brenda, my mother-in-law, Aunt Shan, and I had a blast pawing through the recipes. 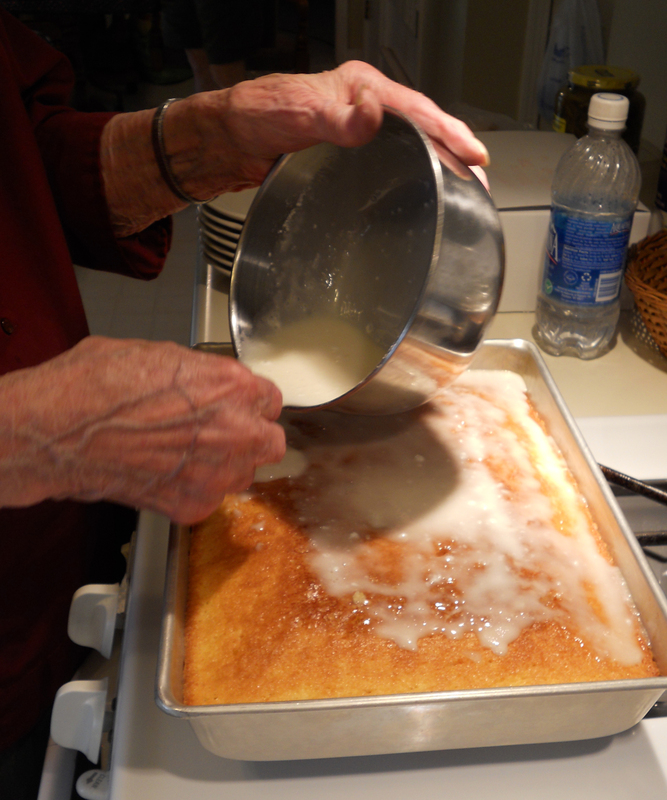 We all got to reminiscing about Mamaw’s yummy Lemon Jello Cake. 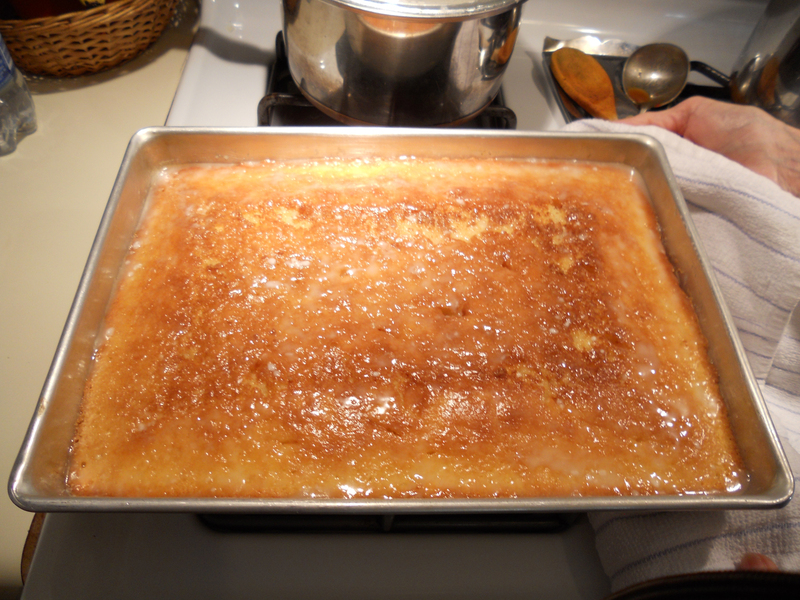 Seems like anytime Chip and I would go to Mamaw’s house there was a lemon cake. Well, at least there was a cake until Donny or David, the cousins, arrived. When Chip and I were first married, I tried to act reserved and not dig in to the desserts, like I normally would. I learned pretty early on that if you snooze-you lose. The first time I “waited to have my cake later” THERE WAS NO CAKE LATER! Boy was I sad. Now, I throw elbows like the rest of ’em! We were all laughing and having a good time when suddenly, Mamaw popped up out of her chair and headed toward the pantry. Oh, yes she did! She went in there and pulled out all the ingredients for a lemon jello cake! Since half of my Pork Chop Tuesday readership was there at the table, they all suggested I blog about it! We had not brought our “fancy” camera. Brenda had a point and shoot, so I used that. Some of the pictures came out a little blurry, just because it was an unfamiliar camera — I’m sure! 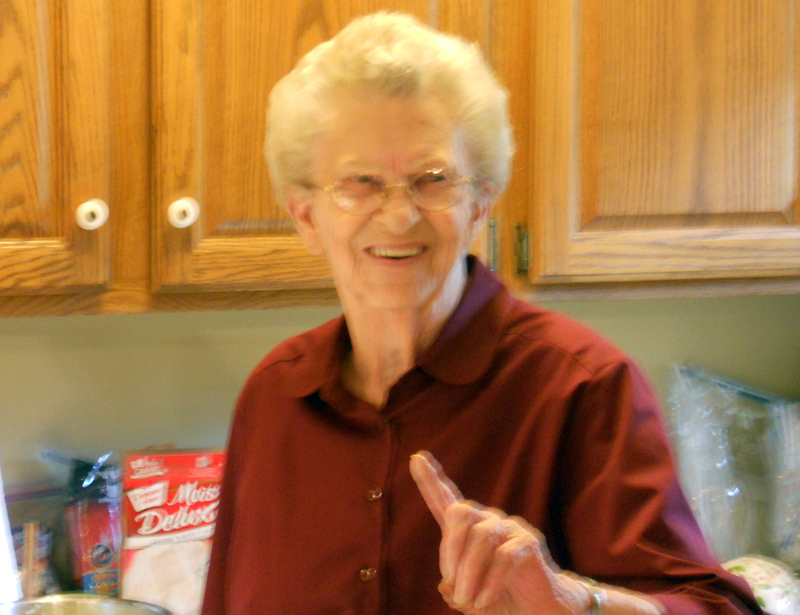 So, here is my second guest chef, Mamaw! This picture is a little blurry because I was trying to take it fast and on the sly! She didn’t think she needed to have her picture in the blog. Don’t shoot me, Mamaw! 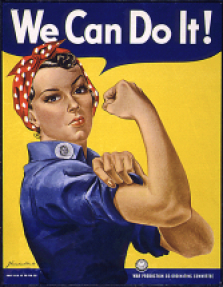 Mamaw was “Rosie the Riveter” in Memphis, TN during WWII! I don’t think there is a thing in the world Mamaw CAN’T do! Put oil and eggs together. Put Jello in 1/2 cup of hot water. Stir to dissolve. Add enough cold water to make 1 cup. 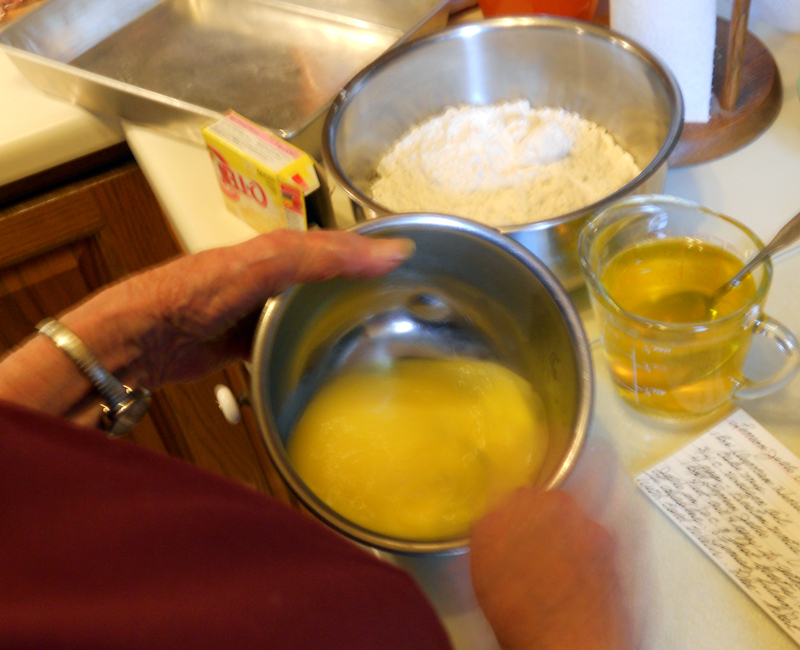 Mix together the egg/oil mixture, the dissolved jello, and the cake mix. Let the cake cool a little but not too much. Just long enough for you to mix up the topping. 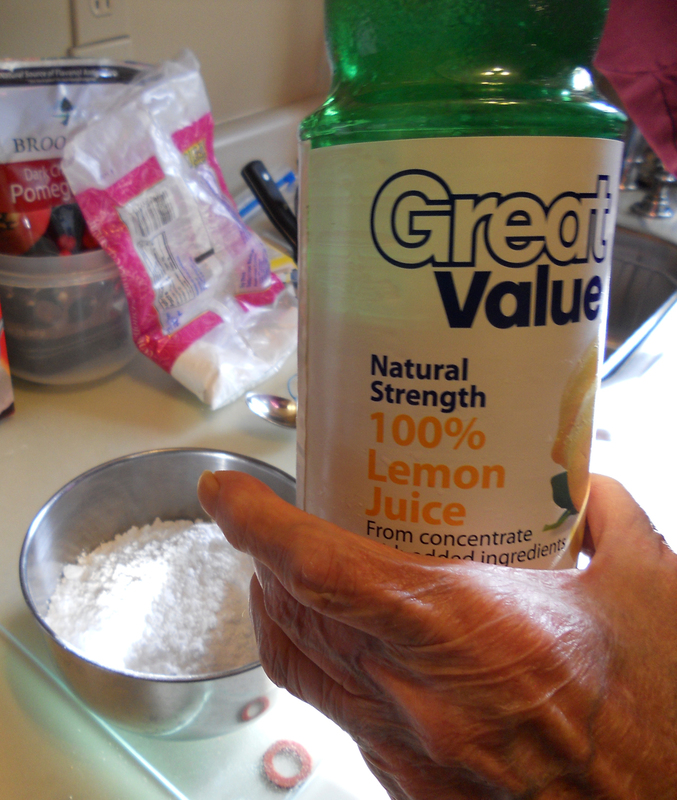 Juice of one lemon or however much bottled lemon juice you want! Poke holes in the cake. Spread the topping all over the cake. Let it soak in all the way. Cut a big hunk and eat it while it is still warm! Get it before the hoarders do! 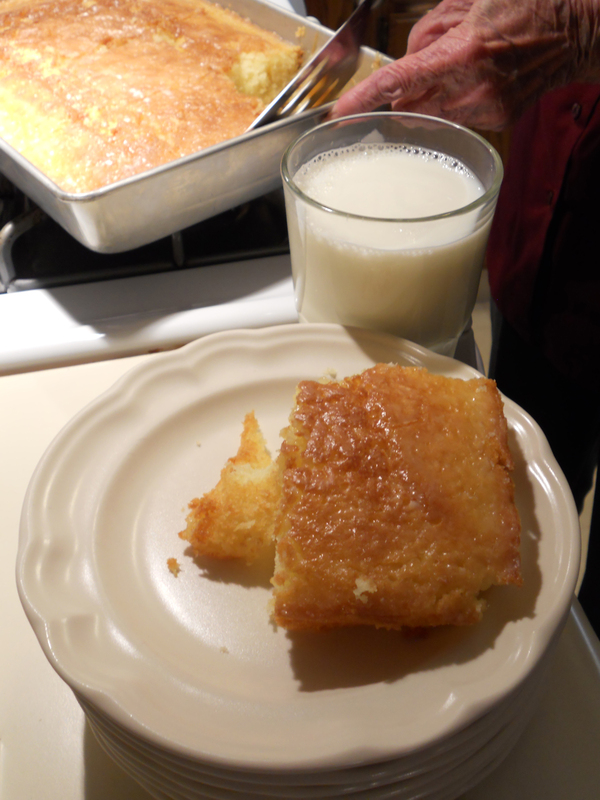 Brenda gave me this recipe years ago,……it’s one of Rick’s favorites. 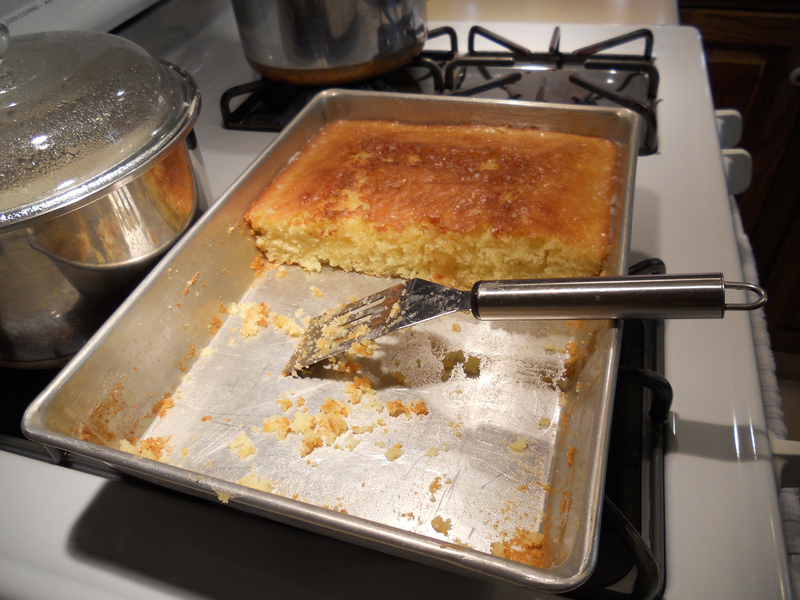 I had it printed in the church cookbook under “Brenda’s Lemon Cake”…….didn’t realize Dorothy gave it to her! OH……..and I’ve made it in Orange flavor too! Equally as good! 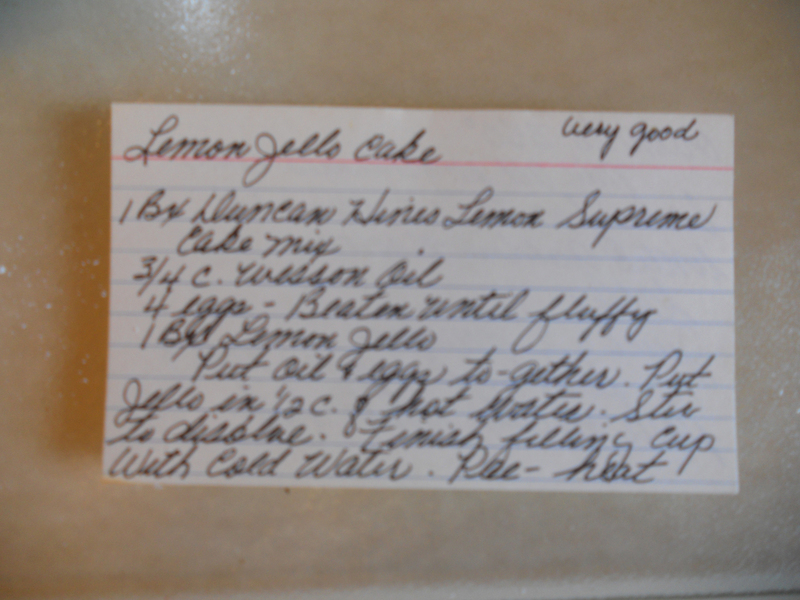 My recipe card actually says the recipe was originally Nanny’s, Mamaw’s mother. I actually have an orange cake mix and orange jello in the pantry to give it a try! I will try this soon. Any cake of Mamaws is a friend of mine!!!! The memories are endless related to this Lemon Jello Cake. I believe Mamaws mother, Jessie “Nanny” Herbert, had the recipe first. I do not know where she got it. But, as far back as I can remember Nanny always served it. 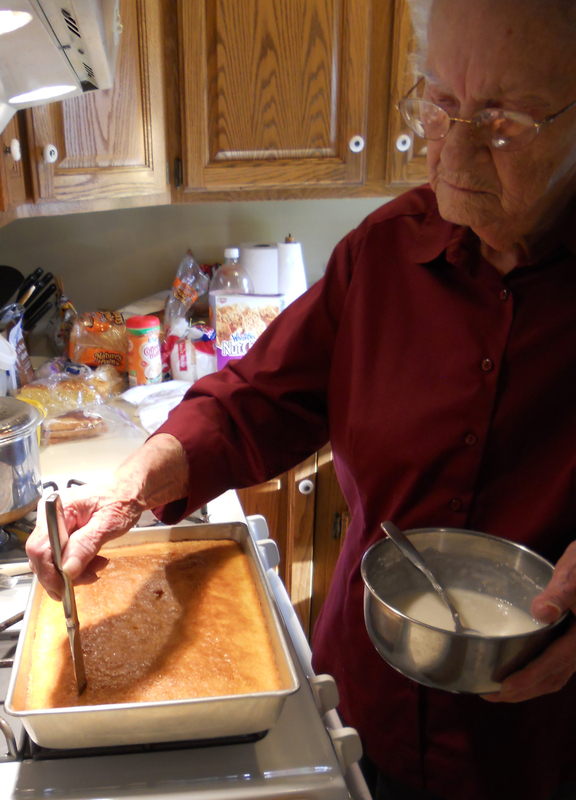 MawMaw always has the makings for this cake on hand and is quick to get one in the oven when company comes. 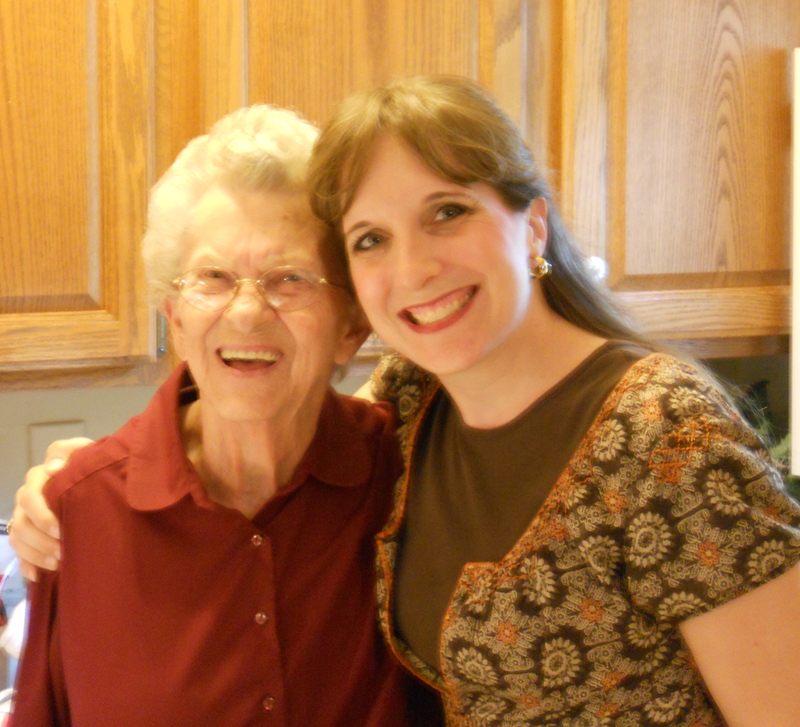 Nanny, like Mawmaw, was a remarkable woman. And, like today at Mawmaw’s house, us ladies (old and young) would gather at the kitchen table to talk and share. The kitchen table was where the older women taught the younger women. 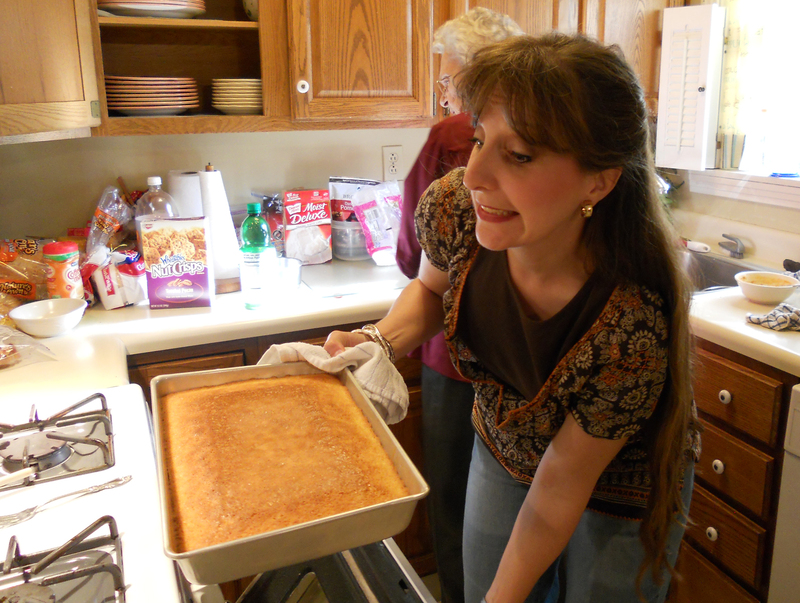 The topics were endless–cooking, sewing, quilting, canning, etc. Sometimes laughing, sometimes crying. Most of what I know today dealing with domestic topics, I learned around those kitchen tables. How blessed we are that MawMaw is still teaching us younger women around her kitchen table. Lots of good learnin’ around that table! I looked at your PC Tuesday post and loved it. In fact I have looked at it several times.You are a great blogger. Any one who can take what you had to work with and make it so interesting has to be good. I confess I even liked my pictures so I won’t shoot you. :-). I didn’t know all those pictures were being taken. 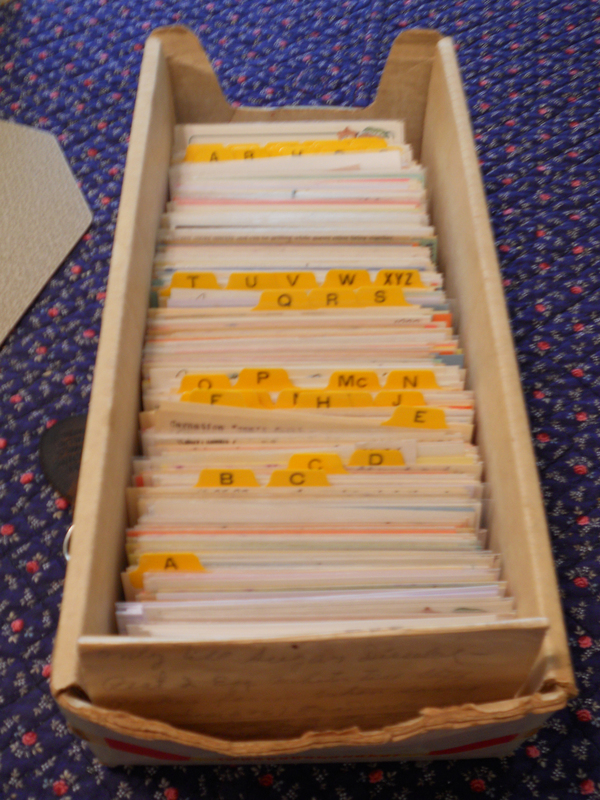 My poor old popcorn recipe box is pitiful but there is just something about that old box. The cake sure looked delicious when you took it out of the oven. I could almost taste it. Loved Dianne’s comment too. Had me LOL. It was cute.